Dr Abbas Uddin Shiyak is an academician and consultant for the textile and leather sector. He is currently working as an Asst. Prof. of Dept. of Dyes and Chemical Engineering in Bangladesh University of Textiles. He has completed his PhD from the University of Manchester, UK under Commonwealth Scholarship and an MBA from Institute of Business Administration, University of Dhaka. He is also a Chartered fellow of Textile Institute UK. Dr. Uddin has over 15 years of experience in textile and garment production, academic research and environmental consultancy. He has extensively worked with in PaCT project for deep dive, in textile sludge management with GIZ and Department of Environment, among others. He is a recognised environmental Consultant for Business Environment Performance Initiative (BEPI). He is also an Additional Director of Institutional Quality Assurance Cell (IQAC) for BUTEX, a countrywide UGC initiative to improve the quality of the education in 78 university, and Assistant Director of Executive Development Centre, which runs a Postgraduate Diploma in Textile Management in association with Ministry of Finance targeted to improve the skillset of textile and apparel professionals in the industry.Dr. He is passionate about developing industrial sector of Bangladesh organically through research and development, creating a new generation of social and environmental champions and liaise between industry and academia for future needs. He worked as consultant for GIZ, IFC PaCT, Swiss Development Corporation, British Embassy of Dhaka and global climate partnership fund. He co-authored a book ‘Greening the Textile and RMG Industry in Bangladesh’ commissioned by Canadian High commission and editor of the book ‘Eco Manufacturing and Green Financing’ commissioned by British High Commission and Swedish Embassy, Dhaka. 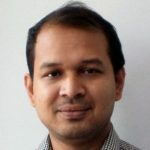 He is a recognised environmental consultant for ‘Business Environmental Performance Initiative (BEPI) – Foreign Trade Association’ and local environmental consultant for Enclude, He is an associate editor for Bangladesh Textile Today and speaker and panelist in local and international seminar/workshop/conference. He also reviewer of many journals in textile field. Dr. Abbas, also known as Shiyak, is an enthusiastic traveller and counting his days to travel around Latin America to look around Andes, Machu Picchu, Amazon etc.